Being a judge has its long list of privileges however anyone in the position of a judge is supposed to be impartial to race, religion, and/or creed. Unfortunately that does not seem to be the case. A sitting Louisiana judge is under intense scrutiny because of an alleged racist comment made at a Baton Rouge restaurant. Louisiana 19th Judicial District Judge Mike Erwin allegedly said to someone at Sammy’s Grill to “never give up your seat to a ni**er”. This is not the first time a sitting judge or anyone in a position of authority has come under fire for any alleged racist behavior. The question at hand is how much longer are the American people going to put up with this questionable behavior. It’s behavior like this that makes the people particularly black people feel like they do about the justice system. There are too many judges that are displaying their personal beliefs and feeling about blacks all the while making decisions as to their fates when they come through their courtrooms. Apparently Judge Erwin has not made any comments or defended himself with the allegations and the woman he was supposedly referring to isn’t talking either. Either way Judge Erwin’s behavior in the courtroom has obviously caught up with his behavior in the streets. EarHustle411 will post updates as they come about. A judge in Louisiana has been banned from a restaurant after he allegedly used a racial slur during an argument with a black woman over a seat at its bar. State District Judge Mike Erwin has yet to publicly respond to the allegations that he called the female customer a “n—–“ at least twice while at Sammy’s Grill on Highland Road in Baton Rouge on Feb. 3. The judge denied using the slur when asked by police. The woman, Kaneitra Johnson, wrote about the incident the following day in a now-deleted Facebook post. Johnson, who could not be reached for comment on Friday, confirmed to The Advocate that she wrote the post. Several messages seeking comment from Erwin’s office were not returned on Friday. He also declined to comment to The Advocate two times earlier in the week, instead issuing a “no comment” through two staff members, the newspaper reported. Casey Rayborn Hicks, a spokesperson for the East Baton Rouge Sheriff’s Office, said a report on the incident had not yet been finalized as of Friday evening. “So please note this is preliminary,” Hicks wrote in an email to The Post. Hicks said Erwin denied using the slur and that customers from the restaurant interviewed by a detective could not corroborate the allegations. A detective also spoke with Erwin regarding threatening calls to his office since the alleged incident, Hicks said. A manager at the restaurant, Andy McKay, said Erwin had been barred from the establishment, telling The Advocate that staffers were notified by owner Sammy Nagem that Erwin’s business would be “refused” going forward. Both McKay and Nagem were unavailable for comment on Friday. Valerie Willard, a spokesperson for the Louisiana Judiciary Commission, which oversees judicial misconduct in the state, said the nine-member body holds confidential investigatory hearings upon receiving complaints of possible misconduct by judges. If the commission determines that the state’s code of judicial conduct has been violated, the body can make recommendations to the Louisiana Supreme Court, which can ultimately issue penalties ranging from censure or removal of judges, commissioners, magistrates, justices of the peace and mayors who perform judicial functions. Any complaints connected to the alleged incident at the restaurant or an investigation initiated by the body itself would be confidential at this point, Willard told The Post. “The rationale is to ensure due process,” she said. Willard also confirmed that the commission has no record of reported disciplinary cases involving Erwin. Messages seeking comment from the Louisiana State Bar Association regarding Erwin were not immediately returned Friday. 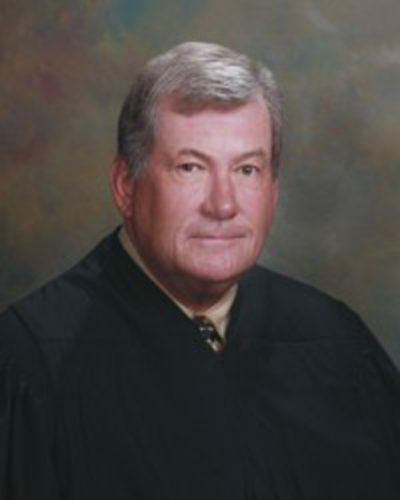 Erwin, a 67-year-old Louisiana native, is the most senior judge in the 19th Judicial District. He was elected to the bench in 1991 and won his fifth six-year term in 2014. He previously worked as an assistant city prosecutor in Baton Rouge City Court and as an assistant district attorney with the East Baton Rouge Parish District Attorney’s Office, according to his court biography. Erwin was also assigned a traffic case against Johnson in 2010, according to court records cited by The Advocate. Johnson said she didn’t recognize Erwin in her Facebook post, nor did she realize he was a judge until after speaking with deputies following the argument. On Friday, The Advocate called on Erwin to end his silence surrounding the “troubling” allegations. “We’re not sure what happened between Erwin and Johnson, but the circumstances of the incident argue for something more than silence from Erwin,” according to an editorial by the newspaper.